The Sage Summit session description for course MM-7531 seems to promise a new manufacturing module unveiling at Sage Summit 2016. 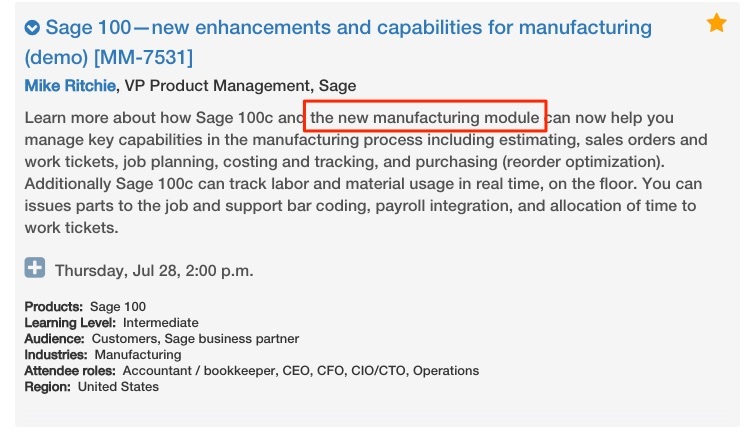 While it’s not yet known whether this is an internally developed module or whether Sage might go outside to a third party (possible Job Ops), there seems to be a renewed focus on manufacturing for Sage 100. Learn more about how Sage 100c and the new manufacturing module can now help you manage key capabilities in the manufacturing process including estimating, sales orders and work tickets, job planning, costing and tracking, and purchasing (reorder optimization). Additionally Sage 100c can track labor and material usage in real time, on the floor. 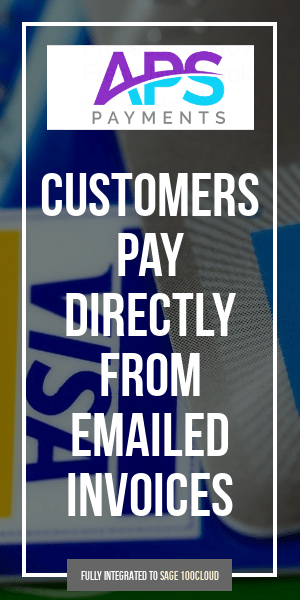 You can issues parts to the job and support bar coding, payroll integration, and allocation of time to work tickets. Presently neither the Sage 100 Work Order or MRP manufacturing modules are at framework (latest design specifications) which limits usage of the modules to only Sage 100 Standard or Sage 100 Advanced as Sage 100 Premium (aka SQL) will not integrate with NON-framework modules (which also presently excludes Sage 100 Payroll from SQL integration). Also, another unknown is whether this new Sage 100c manufacturing might only work for the relatively new, subscription-only, Sage 100c product. If so, this could be a powerful draw for existing Sage 100 customers to migrate to Sage 100c subscription licensing.